There is a comfort that marriage brings so once it’s gone women find that stepping out into the dating scene after a divorce can be daunting. You might be unsure of how to act and what to say within the dating arena because things have changed so much since you were there. With this uncertainty comes nervousness and anxiety just like when you were a teenager trying to determining if someone liked you. The narrative “out of the game” is no joke as dating can be scary but never fear, it doesn’t have to be! 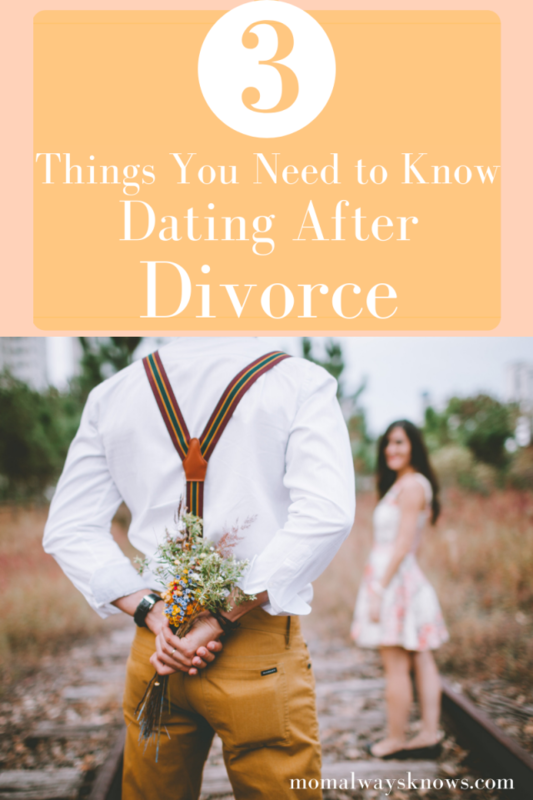 So whether you are looking for something long-term or just out to have a good time, check out our top three things you need to know if you are dating again after divorce. Another indication that you’re not ready to date is if you have a negative attitude toward dating. Women ready to date are positive, hopeful and full of little butterflies in their stomach when they think about the possibility of dating again. It’s okay to just say “I am not ready” or “I don’t want to” rather than set yourself up for failure. If you do have a negative attitude toward dating try to get to the root of the issue. Are you still hurt and don’t want to bring baggage into the next relationship or maybe you don’t want to date because your self-esteem took a dent? Being honest and knowing your feelings will help you determine if you need additional time or if you are indeed ready! After a divorce, despite how long it has been, healing is a priority. There is pain that comes when a relationship or marriage ends especially if the divorce was messy or kids are involved. Getting back into the dating game before dealing with these heart issues is a recipe for disaster because we all know doing things out of pressure or desperation has never ended well for any of us. Seek counseling, write in a journal or talk to your lawyer like long-term disability lawyer Toronto, just make sure you have healed (or on your way) before you start dating again. Once you’ve mastered the courage to get online and cruise the dating sites or actually go on a date just make sure you are honest about your situation and how you are feeling. Don’t feel bad because you are definitely not alone as you will find many other divorcees out there in the same boat as you. If you’re looking to have a good time only, make it clear. Same goes for if you’re looking for something more long-term. Being honest helps you weed out those who don’t meet your expectations or who might not have your best interest in mind.